Automation is the next big thing which is going to be one of the booming industry soon, and since we have seen remote controlled LED light strips to lights, gadgets like Google Home or Amazon Echo, some people are thinking about taking it to everyone out there. 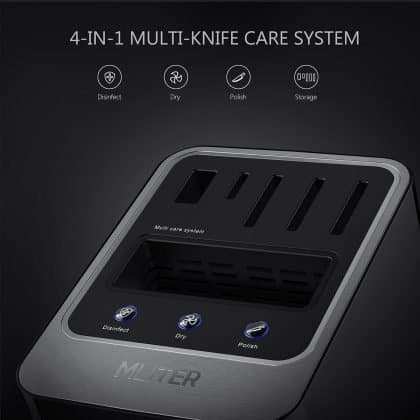 A new startup known as Mliter, based in the US is working on a multifunction knife care system, known as the Mliter S20 Multifunctional Knife Care System. Mliter S20 Multifunctional Knife Care system is basically an all in one solution for drying, Sharpening, sterilizing and storage space for knives. Sounds weird huh? Well, to them, hygiene is the top priority and that’s why the there is a built-in ozone ultraviolet lamp so that it can kill bacteria using the UV radiation and ozone to achieve 99.98% elimination of bacteria and fungi and the lost includes Staphylococcus aureus, Escherichia coli, Staphylococcus aureus, Bacillus subtilis, Salmonella typhi, Aspergillus niger, and Hepatitis B Surface antigen HBXAg. Inside the Mliter S20 Multifunctional Knife Care system, there is an AC foldable sharpener, which does the job of sharpening and it hides when not required to save space and provide safety to the user. 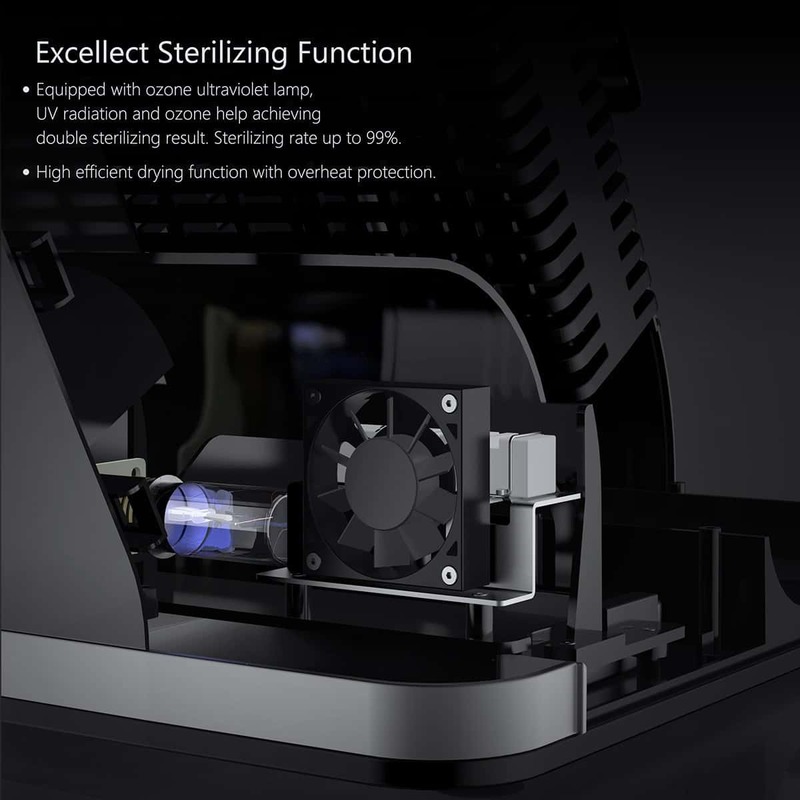 Now, let’s take a look at the key features of Mliter S20 multifunctional knife care system. <strong>Update:</strong> Special Discount for iGadgetsworld Readers! Check the end of the article for info. 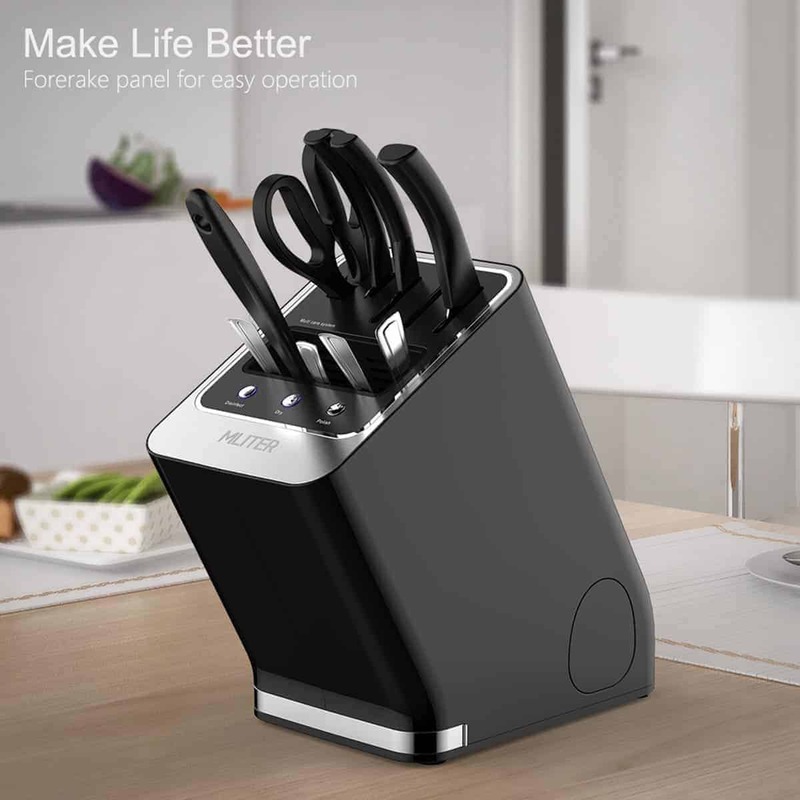 As mentioned already, it has 4 simple features that are useful for any homemaker. Currently, it seems like a baby step, but this kind of projects may be very mainstream in future as everyone is looking to reduce efforts and automate many tasks. 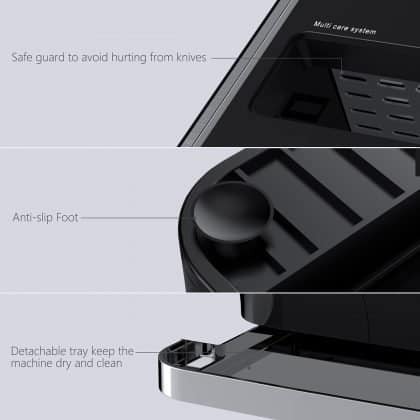 Currently, the Mliter S20 Multifunctional Knife Care System is under crowdfunding via Indiegogo and you can grab one, by backing the campaign. The Super Early Bird package provides everything at $51 with a shipping fee of $18, but here’s the best part. Mliter Team wanted to give a special discount for iGadgetsworld readers, thus they created a perk for us. You can only claim it by following this link, and you can back the campaign and own a Mliter S20 4-in-1 Knife care system for just $49 and free shipping worldwide. Isn’t that great? 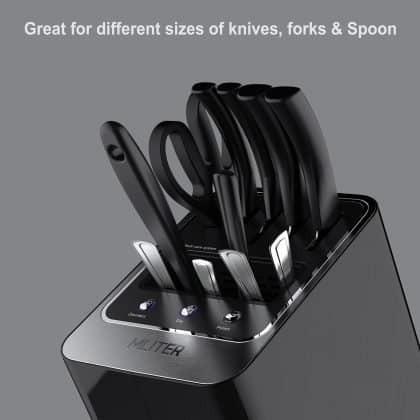 You save a lot of money! So, what are you waiting for? Claim your perk right now. Previous articlePlico – A Foldable Commuter Bike Helmet That fits Right in your Bag!